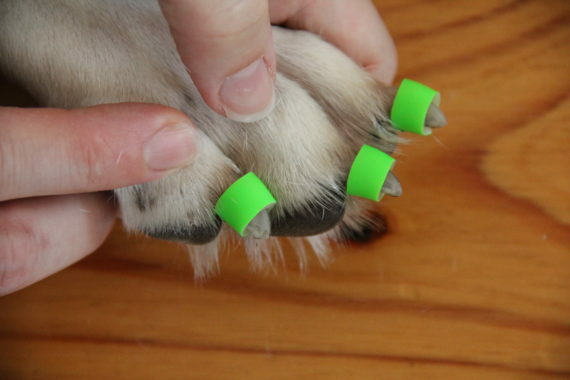 How Important is Paw Friction to Dog Traction? On their natural terrain, dogs have the right equipment and they know how to use it! 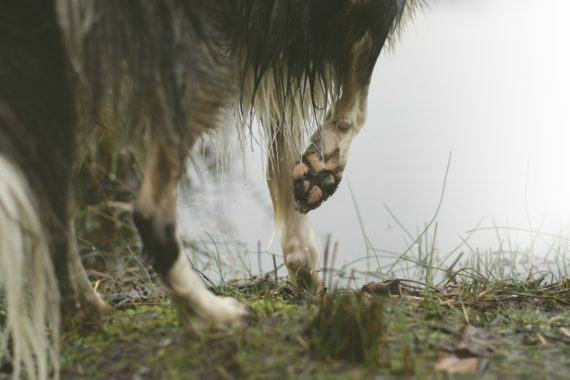 Dogs use their toenails as their primary mechanism for gaining traction, not their paw pads. When feeling secure, dogs rely on default paw friction to walk. However, when dogs start to slip, their natural reflex is to engage their nails, as their “go to” mechanism for traction. We even see this in dogs who are standing still. Have you ever seen a dog in a vet hospital reception area frozen in fear? One hallmark of that posture is the dog standing on his “tippy toes.” Why? Dogs are hard-wired to “dig” their nails into the ground for traction. We also see dogs “engage their nails” and “dig in” when trying to rise from slick floors. This is another key place where ToeGrips play the role of hero! ToeGrips have been hailed as “the next generation of dog boots” by veterinarians. Have you looked at online and catalog options for dog traction products? If so, you probably have found socks, boots, booties, pad stickies, pad balm, even glue-on rubber for the paw pads! These products try to increase paw friction with the ground. Sadly, they are trying to solve this very real problem as if dogs were humans in need of sneakers. However, the problem isn’t with the dog, but rather, the environment. Am I suggesting that we move our families into lean-tos in the woods? As much as my sons would love that, I’m not! What I am suggesting is that we understand the root issue and help dogs adapt in a way that supports their natural instincts and abilities. 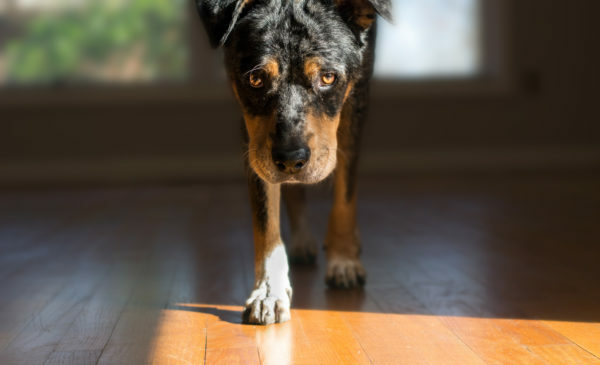 Navigating hard-surface floors can be challenging for dogs, especially senior and special needs dogs who don’t compensate as well as younger dogs. Until dogs evolve to possess grippy toes like tree frogs, I recommend ToeGrips. But my customers’ words are more powerful than my own. Please read the happy ending stories, emails, and letters that I receive each day from ToeGrips believers. Each success story touches my heart and makes me even more passionate about my mission to help dog owners help their dogs. Hard nails can’t grip hard floors. But the nonslip, custom-engineered material that ToeGrips are made from restores the nails’ natural gripping power. By helping dogs function naturally, they get the traction they need! Have you observed your dog trying to “dig in” or use the toenails when rising from a wood floor or walking on smooth surfaces? We’d love hear. Please comment below. To shop ToeGrips now, please click here. Louie my 15 yr old 98 pounder got his toe grips yesterday. Getting up and down was his obvious struggle. Walking is slow and often he resists. Laser treatment has greatly increase his comfort. The toe grips add a layer of comfort getting up and down. Since the toe grips went on hIs walk just looks different, more fluid and confident. He is walking willingly, so surely he is more comfortable. Yesterday we did 2 instead of 1 exercise-companion walks. He cannot do laminate floors at least not yet, but he walks on the road confidently. 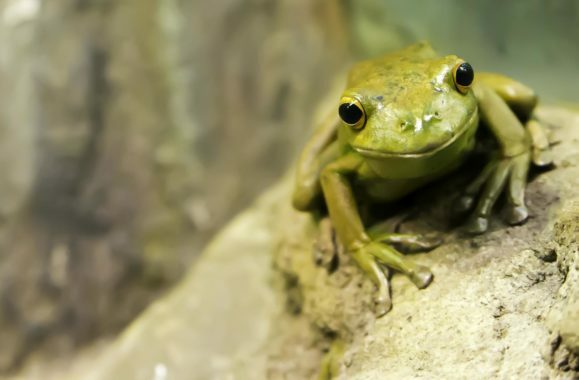 Today we are going to try visiting a local preserve that had been our daily destination. I am amazed, and I am sure Louie is also , at the change tipgrips have brought about. From PA Thank you. Hi Beverly, Thanks so much for taking the time to share Louie’s ToeGrips success with us! You have no idea how much joy it brings our entire team to know that ToeGrips are helping Louie live a better quality of life. Please give Louie a big hug from all of us at Team ToeGrips and thank you again for the wonderful feedback!